Voice Changer Software is a unique program for online and offline real-time voice alteration, AV VCS 4.0 Basic Edition allows you to instantly change voice over Internet and PC Phone; Talk in male, female, teen, baby voice to have online fun in chat room; Create many voices for movie; Also change music; Record chat, phone, internet radio, music; Add effects to enhance voice or background; Compare changed voice to another's voice for simulation purpose; Compatible with YIM, MSN, AOL, ICQ, PalTalk, Odigo, Netmeeting, Roger Wilco, and media players, CD players, Karaoke players. AV Voice Changer Software changes voice to unlimited number of different voices, either man, woman, young, elderly, teen or kid in voice chat and internet phone. It also changes voice of song, narration, voiceover, internet broadcast, karaoke singing. The advanced pitch-timbre changing algorithm helps produce natural and realtime voice output; and realtime effects add taste and feel to voice and music. AV Voice Changer Software includes an MP3 player and a multistream recorder, both support multi audio formats including mp3, wma, wav, ogg, ape, nist, aif, mp2, irc, au. AV Voice Changer Software stands apart from other online or computer voice changers for its unlimited ability to disguise. Get this versatile online voice changer software download here, and explore its voice changer, voice simulator, and chat recorder… for new online "affairs". Pentium II or higher compatible processor. User-friendly interface - Clean and simple user-interface with useful tips / hints makes the software very easy to use. Compatible with Internet-based programs - Compatible with many voice chat applications, VoIP programs, instant messenger programs, and online games. High-quality voice output - Advanced algorithms, setting combinations: changing, tuning, improving, equalizing, and more. 2-Dimensional voice changing - The only application that not only changes voice pitch, but also voice timbre, and in real time! Advanced equalizers, sound quality improver - Ready-to-use equalizer presets, noise reduction, and sound limiter. Ready-to-use "nickvoices" - Hundred of preset voices - the "nickvoices" – available with just a click; also create and save your own presets. quickly switch voices with simple keystrokes. Game mode - Switch from Full mode to Game mode for low bandwidth and CPU usage while maintaining excellent performance, especially when you play online games. Frequency & formant morphers - Control multi-band pitch, modify base format of any singing voice. Audio & video stream interception - Compatible with almost any media program, hooks all streams, including WaveOut, DirectX. Adjustable sound parameters - DVD/radio/telephone-quality sound output; defaults to full duplex. Audio/Sound Recorder - Capture chat conversations, Internet radio, record any voice, sound, or music clip from any source. Audio effects explorer - More than 50 effects, hundreds of presets available; layer multiple effects to create unique ones and save them for later use. Background affects - Use your voice via microphone and add in any background sound from 15 presets, or load in your own background sounds. Voice comparator - Similarity analysis, celebrity voice samples, import someone else's voice and compare it to any other voice. Non-human voices - Create up to 54 animal voices from your own voice with a simple click. Parody Mixer - Mix parody voices to create a new parody voice. Parody Maker - Create your parody voice or mimic other people's voices. Batch File Morpher - Advanced morphing tool to quickly perform audio morphing and file format converting processes on several files. 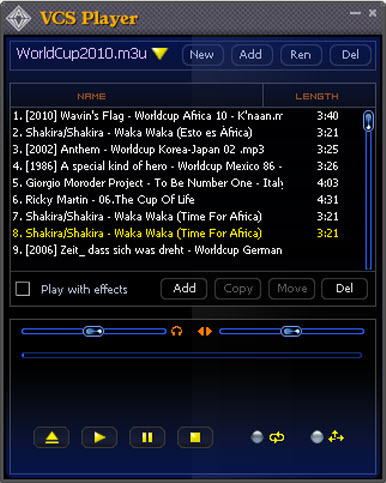 Audio/Sound Player - Built-in mp3 player works with the morphers, equalizers, effects and filters; plays almost any format. Voice Analyzer - Analyze 3 fundamental characteristics of your voice. is a professional and powerful audio recording tool to recording to audio files MP3, WAV, WMA, OGG. Voice disguising and voice recording software. is a real-time sound recorder, offering professional recording features with full mp3 support. is a small but efficient Windows sound program that will record any sound to mp3, wav format. record real-time sound from any source to mp3/wav/wma/ogg formats on the fly. Advanced voice alteration software and home recording studio.